The proposed White Mills Marina is located on pastureland 1.5km (0.9 miles) south of Earls Barton in Northamptonshire. Upon completion, the marina will provide 141 offline berths for narrow boats and cruisers, supported by a modern facilities building with a communal lounge and cafe open exclusively to guests mooring at White Mills. The site occupies a sensitive location on the River Nene. With several nature and heritage designations nearby – including Sites of Special Scientific Interest (SSSI), Sites of Nature Conservation Value, and Registered Parks and Gardens – the client required an Environmental Impact Assessment (EIA). 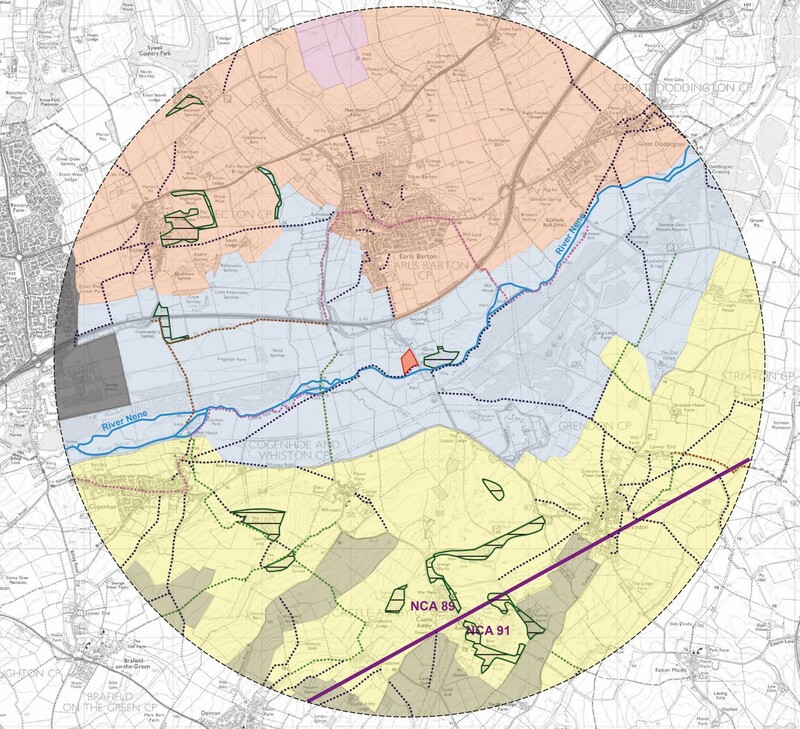 Appointed to the EIA team by SB Rice Consulting, Influence carried out a Landscape and Visual Impact Assessment (LVIA). With a comprehensive mitigation package including a variety of landscape and ecological enhancements, our contributions to the EIA helped deliver a marina proposal that responds positively to its sensitive location.